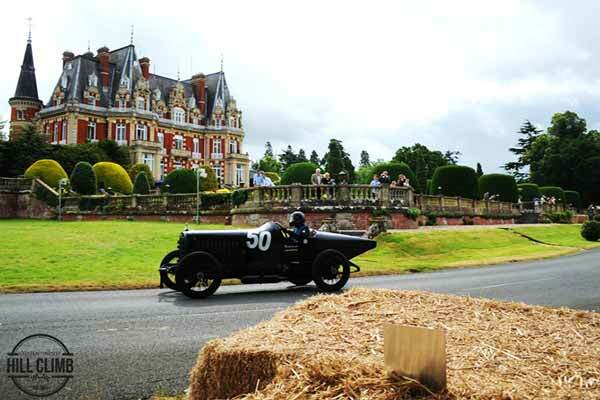 The sights and sounds of historic motorsport returned to Chateau Impney in 2015 after a break of nearly 50 years. Last year nearly 14,000 car enthusiasts witnessed over 200 pre-1967 cars tackling the challenging 885 metre course. Chateau Impney Hill climb 2017 – What’s on? 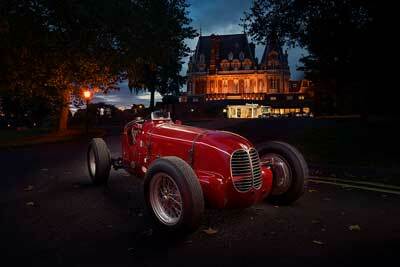 Once again over 200 pre-1967 cars will compete on the 885 metre Chateau Impney course. Spectators can explore the open paddock again, meet the drivers and see the car up close. There will also be a number of demonstration runs, featuring cars and bikes from every era of motorsport history. The event will also commemorate two very special celebrations. It’s also 50 years since the Chateau Impney Speed Trials ended in 1967 (read about the original speed trials here). As well as the on track competition, there will be flypasts in the air. A vintage funfair and the popular Footman James Concours d’Elegance. With the winning car chosen by a public vote. On the Saturday night, “The Impney Party” for competitors and invited guests, will be bigger and better than previous years. Entertainment will include stand-up comedy, live music and a casino. Adult tickets for the Chateau Impney Hill Climb 2017 are priced from £20. Children aged from 2-15 year can enter for just £5 per child when accompanied by a ticket-holding adult. General admission tickets include free access to the grandstands.